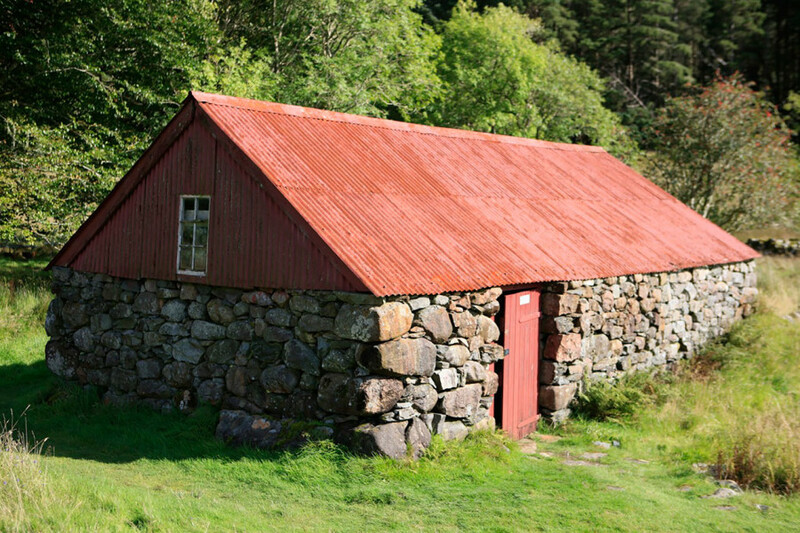 This building was erected on the site of an earlier ‘kiln barn’, used to dry and store threshed grain. The remains of a corn kiln can be seen at one end, where grain would have been dried in the hot air from a small fire. In the early 20th century, half of this building was used as a byre for the township’s bull. The other half was used to store large hessian sacks of newly-clipped fleeces, before they were sold for spinning and weaving into cloth. This dual use led to the building’s name, the ‘Bull & Wool House’. The sacks of fleece made the building warm and comfortable, and it became a gathering place for the township’s young people and their friends away from the watchful eyes of adults. They left their mark on the building - the roof timbers are covered in names and initials, written the sticky red or blue ‘keel’ used to mark the fleeces of sheep.